This entry was posted on July 3, 2008 by IdliDosa. 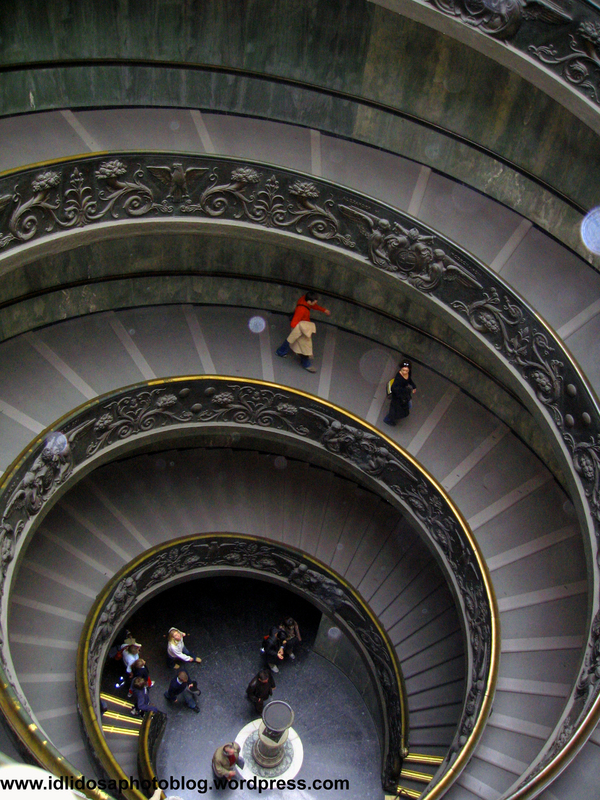 It was filed under Architecture, Places, Travel and was tagged with Architecture, christianity, photography, photos, pictures, Places, pope, rome, spiral staircase, Travel, vatican city, vatican museum. I think this is a great shot due to the architechture. Every photo cannot be perfect. The circular staircase is wonderful. I love it. Thank you for sharing it and not holding back. A great shot. You really have eyes for good photography. The perspective in this image is outstanding. Great curves and geometric patterns. Really like this one, nice job!